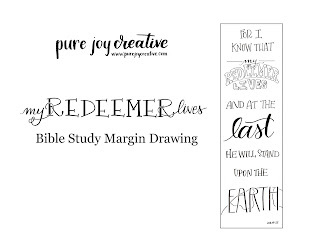 Friends, you know I love a good piece of scripture art...Bible journaling...painting etc. I love creating them and I love seeing what other people have created. I find so much inspiration from other artists and not just artists who use paint but also artists who use words. I am so excited to introduce you to my friend Heidi who is a wordsmith, an artist of words. She can paint pictures with words that I can only hope to replicate a little bit with my markers and paint. Heidi and I have teamed up (well really she let me come along for the ride) for her My Redeemer Lives study of Resurrection. The study starts next Monday, February 19th and will run for 13 weeks! What an incredible time to study different portions of the resurrection of Christ and different resurrection stories from the Bible. I am blessed to contribute in a small way by offering FREE margin downloads as well as scripture cards. 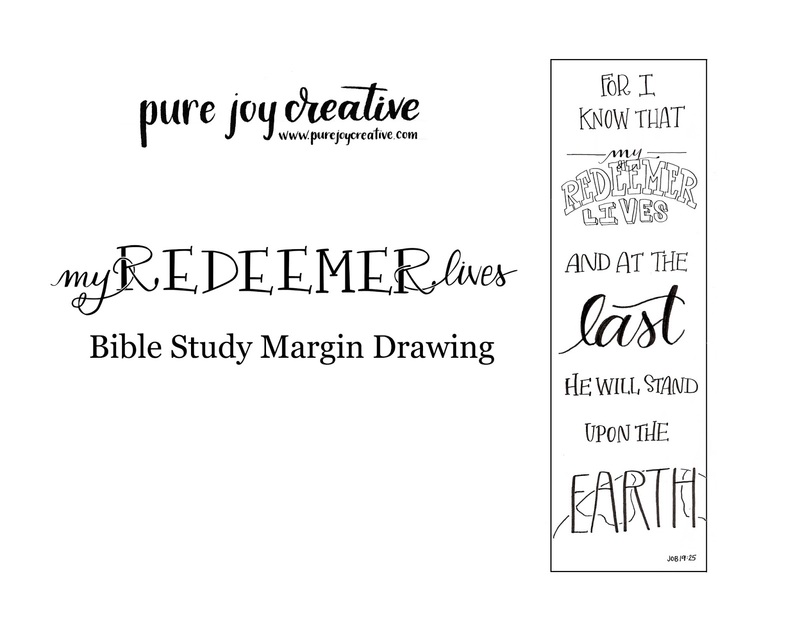 The margin downloads can be used in your own Bible, just print them out and put it under the page you wish to journal on and trace the image. The scripture cards will be colorful and can be printed (preferably on cardstock) and cut apart to use as encouragement cards or as memory cards. I also have some goodies related to the study for sale in my etsy shop. There is a super comfy t-shirt, an incredibly large and durable tote bag and some cute necklaces!! So head over to Heidi's blog at Ilovemyshepherd.com and sign up to receive emails that include the weekly study. You'll be directed back here during the week to grab your freebies too!